Welcome back to Movie Night week here on Moms & Munchkins. 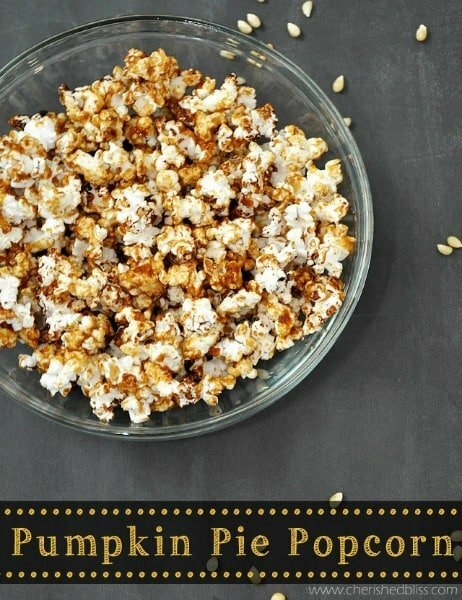 So far we’ve shared some fun games, outdoor movie party ideas and delicious flavored popcorn recipes. 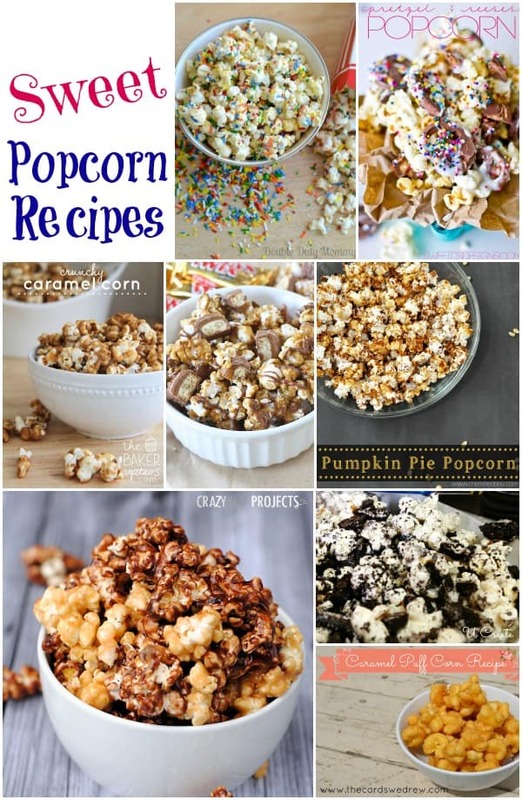 Today we’re sharing a yummy collection of Sweet Popcorn Recipe ideas perfect for dessert! 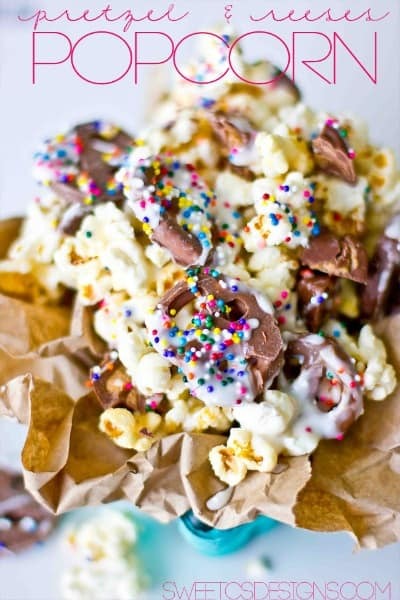 Have you ever tried popcorn coated in chocolate? Oh, it is so good! This is a collection of ideas from other talented bloggers. To view the full recipe for each, simply click on the title of the recipe and it will open up in a new window for you. Chocolate covered pretzels are SO good! This Pretzel and Reeses Popcorn (pictured above) by Sweet C Designs looks absolutely delicious. 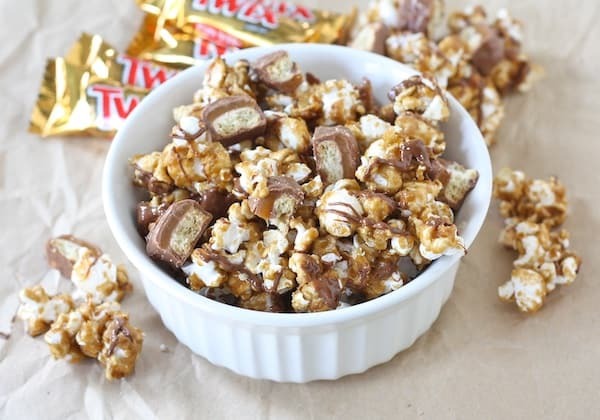 Twix bars are one of my favorite so I look forward to trying this tasty Twix Caramel Popcorn by Two Peas & Their Pod. 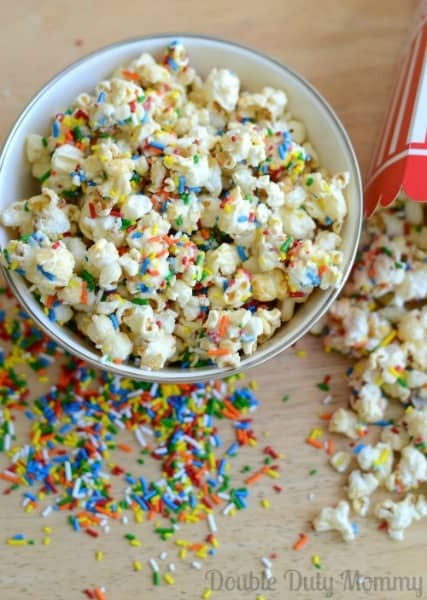 I love this idea for a birthday party treat – Funfetti Birthday Cake Popcorn by Double Duty Mom. It would be perfect in little portion cups on a party buffet table. 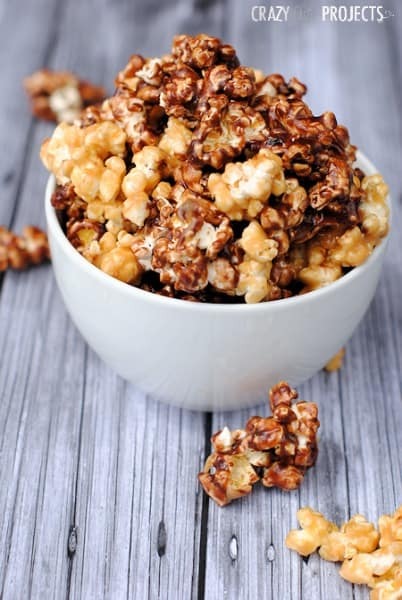 Now this is a unique popcorn creation – Pumpkin Pie Popcorn by Cherished Bliss looks amazing! Perfect for a fall party. My son isn’t a big fan of sweets but he does love Oreo Cookies. 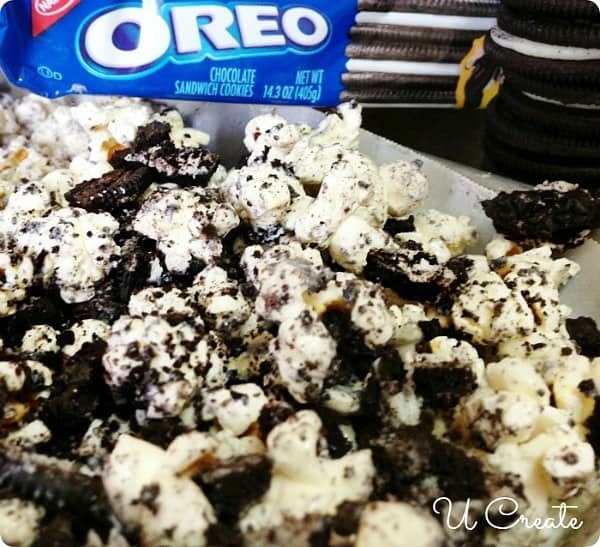 This Oreo Cookie Popcorn by U Create looks delicious & original! Chocolate & Peanut Butter together on popcorn? Yum! I’m sure I would gobble up this whole bowl of Chocolate Peanut Butter Popcorn by Crazy Little Projects. 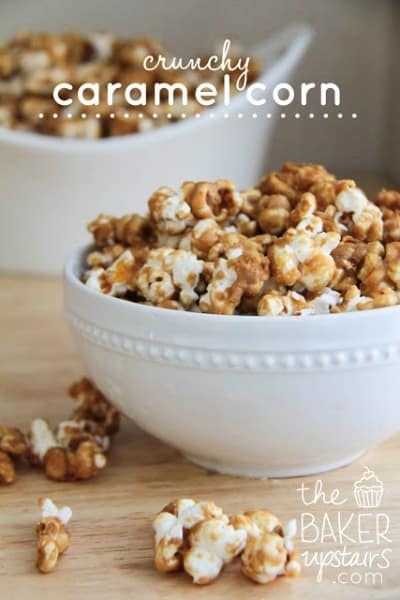 My dad loves caramel corn so I may try to make my own for him as a gift this Father’s Day using this Crunchy Caramel Corn recipe by The Baker Upstairs. 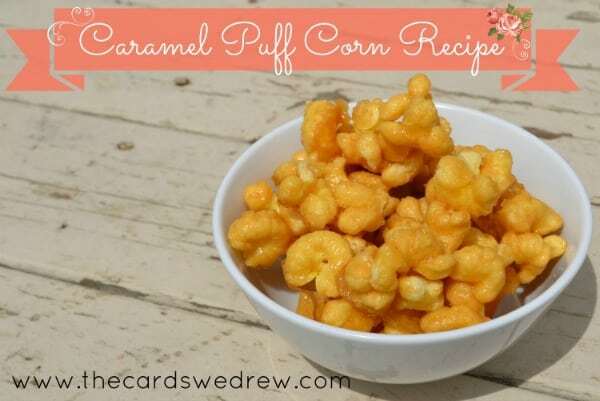 This Caramel Puff Corn Recipe by The Cards We Drew looks highly addictive! Don’t forget to visit our special Movie Night category for more delicious recipes, party ideas, free printable games and more!